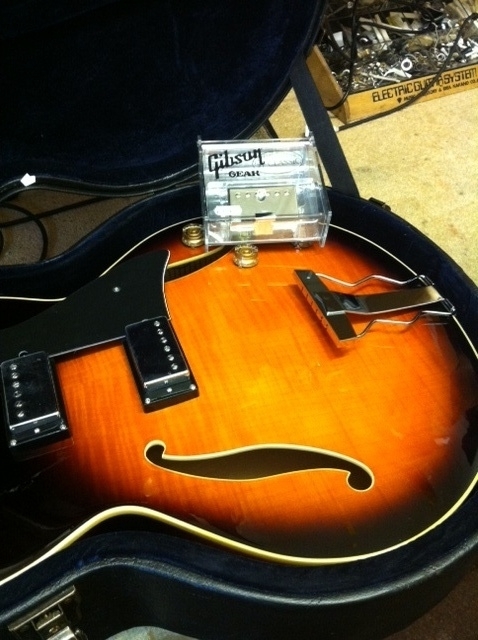 As previous posts have shown I personally prefer the Newtone Archtop for the sound I’m after (which usually isn’t a traditional jazz sound) but I have long wondered about the Rotosound Top Tapes (only available in 12’s) as a viable alternative to D’Addario on the shops guitars. They are different tonally to me as they sound ‘bedded’ in (not unlike well used Chromes) right from the off which to be honest in my (daily!) experience of jazz guitar players is what a vast majority tonally are after. So far so good, even as a ‘take it or leave it’ flatwound appreciator I will persevere with them and I think they sound good on laminate archtops. We’ve got a few new videos which should be on Youtube fairly soon, I will post up the links when they’re available. As an aside, I was absolutely amazed to see hanging on the wall printed on the D’Addario packaging…… can you spot the spelling mistake……? Can’t believe they designed this and no-one saw….! Launched last week in NAMM we have news of some Ibanez models that will be hitting the shores soon and they look great. There’s 3 new jazz guitars AFJ81 AFJ85 and a new George Benson signature guitar a LGB300. 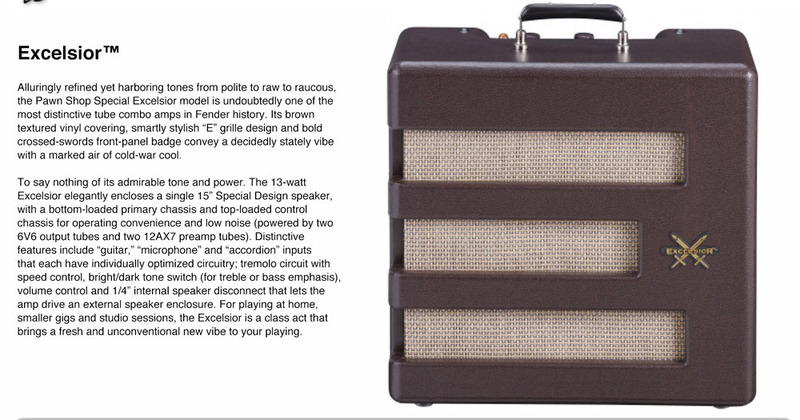 The price on the AFJ81 and AFJ85 are likely to be around £400/450 which is amazing, that’s a lot of guitar for the money. Although the spec sheet doesn’t say it they look to both be 17″ bodies as opposed to the others in the Artcore range which are around 16″ which makes them more comfortable to play for some and should have a positive effect on tone as well. For me I would (predictably) say that they have cut corners with the pickup though, a cheap ceramic which comes with it just doesn’t cut the mustard; a Bare Knuckle in the neck and you’d have an absolutely stunning guitar! No reverb may be the only slight issue for some people and maybe it’ll break up at higher volumes but who knows, it may be surprisingly loud as there’s no gain control, just a master. Oh yeah….and it’s going to be under £300!! From Ibanez there’s the Wholetone WT80 which looks to be kinda based on a Polytone and delivers a clean 80w of solid state goodness. Reverb on this as well as chorus for those Sco/Metheny moments. Oh yeah….and it’s also going to be under £300!! We’ve got an order in for a new exciting model from Eastman which I believe is to be called the AR371 which will be sub £1000 and all laminate. This is making me lust! All Jazz guitarists who want a great sounding string which has better intonation than flatwounds and a smoother feel than normal round wounds. 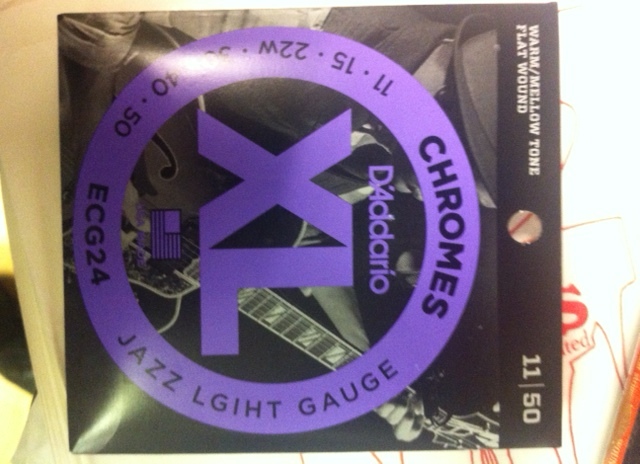 I used to use D’Addario Chromes (flatwounds) for years, mainly because I didn’t really think of playing anything else because that’s what jazz guitarists use right? I used to like the sound of them after they’d been on for a couple of months (hated them when they were new) but they used to sound very out of tune intonation wise at that point. 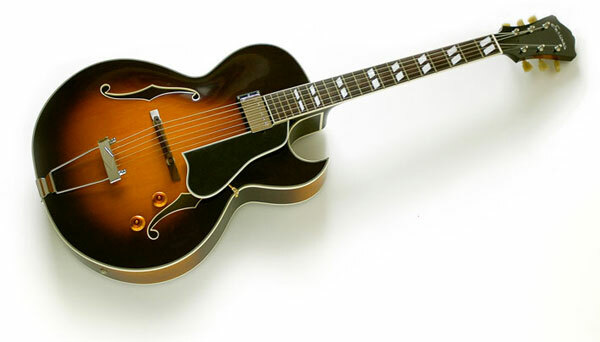 It was when I changed to my current Eastman guitar that I tried and loved the Archtop strings, flatwound strings just sounded bad to my ears on my solid wood archtop. I didn’t think that roundwound strings would be any good but then I discovered that they were in fact doublewound strings and as such have more in common with autoharp or piano strings! Basically in a nutshell, normal electric strings have one winding around a central core whereas doublewound (you guessed it!) have 2 separate windings which are thinner which gives a few benefits. In common with flatwounds I pretty much keep mine on the guitar until they go rusty! You are currently browsing the archives for the Jazz Gtr Gear Reviews category.